This year a wonderful example of “friendship building” has been set in motion between our two countries, Japan and Croatia. 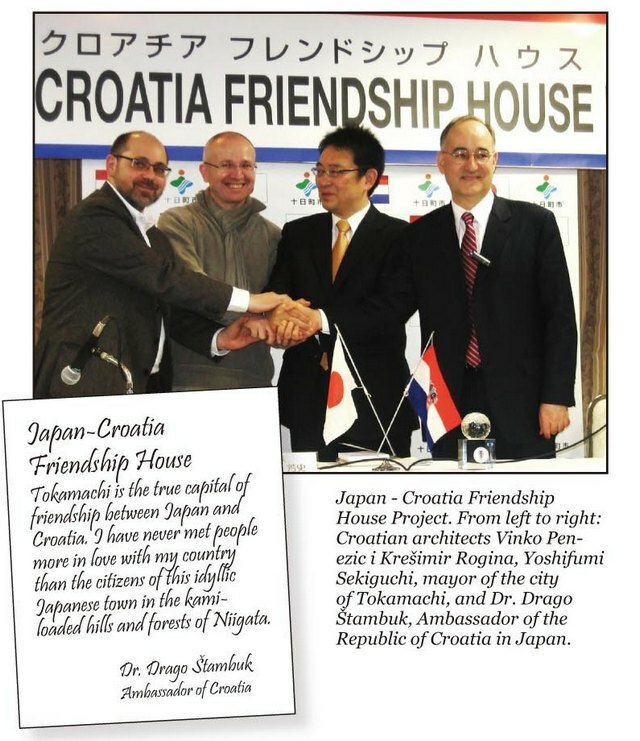 Accumulated efforts of Japanese and Croatian people have resulted in the project of “Japan - Croatia Friendship House” in Tokamachi, Niigata, a shining feat of how noble efforts can lead us along a creative path and express our humanity meaningfully, if we move forward with dedication and passion. It all started with a soccer game at the World Cup in 2002 when the Croatian national team chose Tokamachi as its base to prepare for the coming championship. The friendship between the Croatian players and Tokamachi citizens was “love at the first sight” and is still flourishing and going on strongly. I have visited Tokamachi ten times in the last four years and when I went there for their traditional Snow Festival in February 2006, soon after being appointed Ambassador to Japan, I realized that something remarkable had happened there, which I later named the “Tokamachi factor”. The tune registered on most of the Tokamachi citizens’ mobile phones was the Croatian national anthem; the Belnatio Hotel, where I stayed, had a corner with Croatian posters and souvenirs signed by the players, many photographs of them taken with children, World Cup-related fliers and souvenirs of all kinds, chequered shawls and Croatian football shirts, posters of Zagreb, Dubrovnik, Split and Plitvice lakes. I was taken to the “Croatian pitch”, where my country’s players had trained, and where the “Croatian cup” tournament had taken place each September since 2003. The cups, Samobor crystal ball-shaped trophies, are handed by the Ambassador to the winners in the different categories and photographs are taken at a granite block on which the names of all the Croatian team members present in Tokamachi at 2002 are carved. When I first did this it dawned upon me that here was my new home in Japan. On top of this in local restaurants one could see our players’ photographs, the chequered Croatian pattern, and citizens telling stories of their visits to my country. In 2006 for the World Cup match between Japan and Croatia in Germany 2006, Tokamachi soccer officials invited Croatians and Japanese to watch the game together on a big screen and to cheer and support Croatian team. This embodies what I call the “Tokamachi factor”. The Love and attachment to the other, pure and simple, difficult to understand, let alone to explain. Therefore it is not surprising that the suggestion I made then to build beside the same pitch, the “House of Japan Croatia Friendship” received a delightfully enthusiastic response from the Tokamachi Football Association, the past mayor and the present one: Yoshifumi Sekiguchi who asked me to call him “Josip-san” in Croatian style, as well as city assembly members, officials and citizens. The project has been designed by two prominent Croatian architects, Vinko Penezić and Krešimir Rogina, who placed this house next to the pitch. It is on three levels; like the Freudian triad: id, ego and super-ego; where id is the playful, lowest level, self - close to the pitch, its mud and grass, which is going to be used by sportsmen; then the ego, the level of social and cultural encounters – the space for meetings, concerts, exhibitions; while the super ego is the last level – the tangible symbol of this remarkable friendship in which a lantern of Japan and a lighthouse of Croatia face and embrace each other at the top with its eternal light. The construction is planned to start this summer, and its official, solemn opening - with dignitaries and ordinary people from our countries, sportsmen and artists from both places - is expected in November 2011. 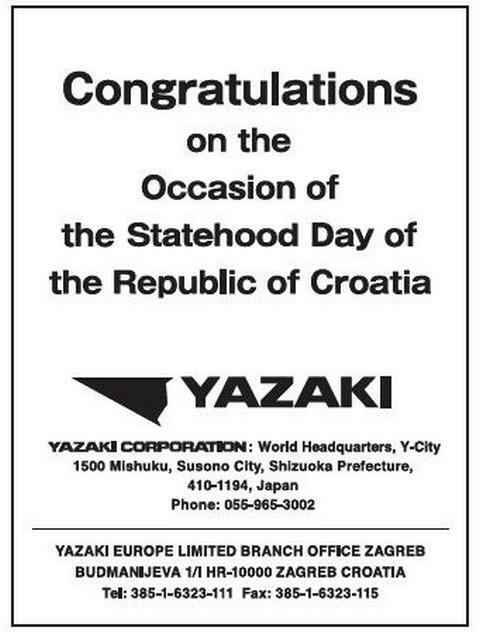 People to people relations start from grass-roots interactions, as they did here in 2002, and flow like the Shinano river from Tokamachi to Niigata city and into the Sea of Japan, spreading through Niigata prefecture – while celebrating Croatia - Japan bond. 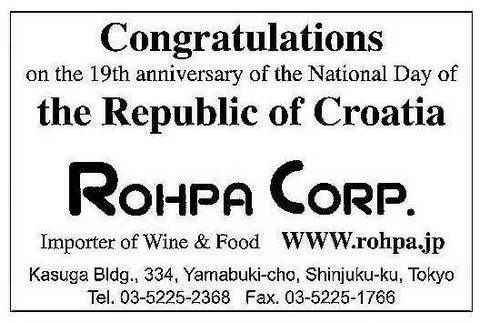 Naming Tokamachi the “capital of friendship between Japan and Croatia”, the term that I cherish and treasure highly, making me proud of all Japanese and Croatians who are engaged in this beautiful, emotional enterprise that makes economics and trade appear of secondary importance. Our connection has a deep significance for our humanity, bringing the child-like quality of openness into our eternal need for togetherness. Therefore, long live our beautiful friendship! Today when we celebrate the Croatian National Day we should remember that it would be empty without this human touch. Secondary to our emotional ties is our business relationship, though we should remember that Croatia’s strategic position, due to its long Adriatic coast where the sea “fingers” into the European continent providing a gateway through Rijeka, the deepest port in the Adriatic, which has an excellent new infrastructure linking the Central and South-Eastern European investment points so important for Japan. These make Croatia geopolitically the pivotal entry country for the Far Eastern states that use the Suez canal for its shortest connection to Europe. Using Rijeka to the mentioned Japanese and other Asian coutries’ investment sites cuts traveling time compared to the northern European ports for seven to nine days. Japan is comfortable dealing with small, peace-loving countries like Croatia, culturally and traditionally at ease with her while sharing a love for nature, four seasons, UNESCO world heritage sites. This is evident in the recent steep rise of Japanese tourists visiting Croatia; last year about 165.000 came, 14% more than the previous year in spite of the recession and the flu pandemic. The self-propelled torpedo invented 140 years ago by Croatian naval engineer Lupis Vukić. 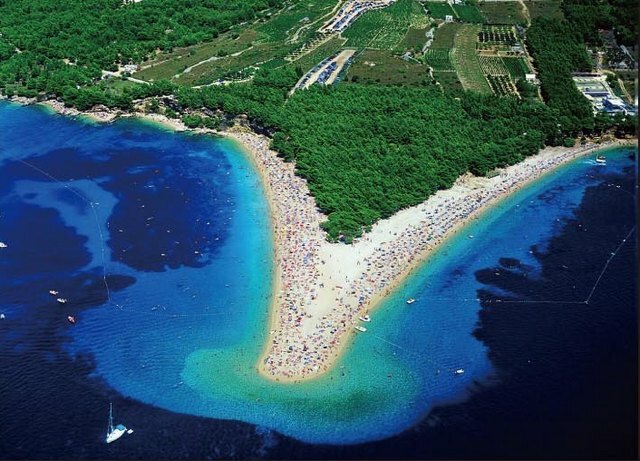 One of the most beatiful beaches in the world - Zlatni rat (Golden Horn) on the island of Brač, Croatia. 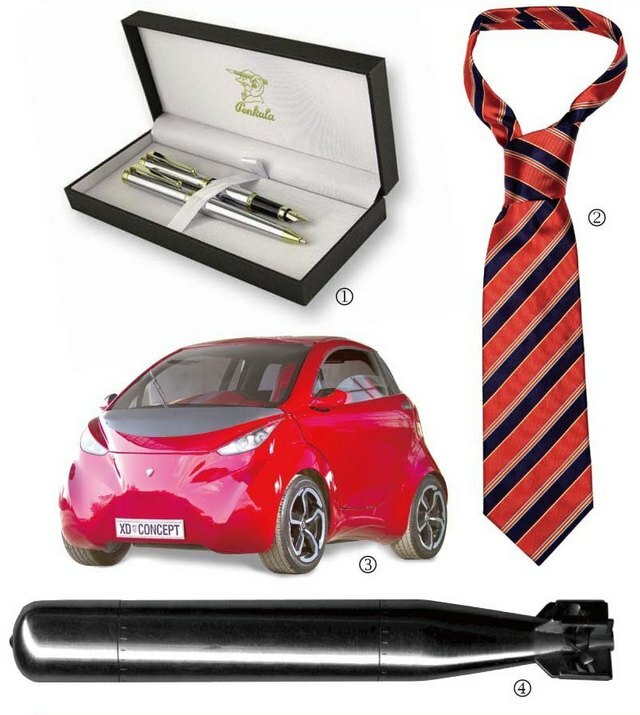 The latest sensation at this year Geneva Motor Show, a Croatian electric mini-car with vertically-opening doors, that uses energy and develops speed in a smart way so that it deserves to be singled out by investors searching for bright opportunities. Croatia is a politically stable, secure country that has become the member of NATO and is soon to join European Union as its 28th member. If it’s true, according to great Russian writer Dostoyevski – that the beauty will save the world – than Croatia has a lot to do with a saving of our only world today. Croatian anthem is the world’s first green anthem and it has no mention of blood-letting, wars or revolutions, as some other national anthems do. Clean, pristine, ecologically healthy land, water and air – endow Croatia and make it very special place on Earth. 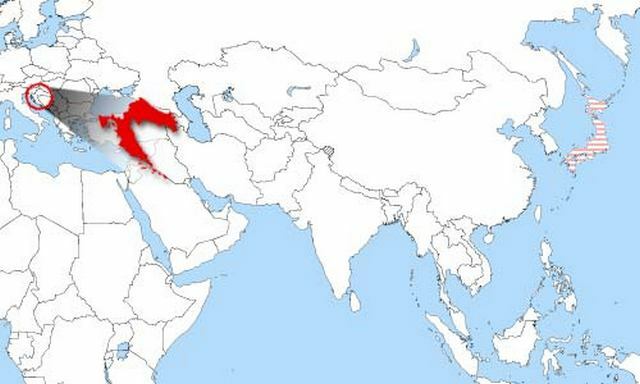 The number of endemic plants in my country surpasses those in any other European country. Glorious ancient cities glisten along one of the most beautiful coasts, enhanced by the deep sapphire-blue Croatian Adriatic which Jacques Cousteau, the world reknown oceanographer, called the most beautiful sea inside-out. Another international figure, George Bernard Shaw, named Croatian city of Dubrovnik - Paradise on Earth. Therefore, it’s not surprising that with mind-boggling combination of nature and heritage, Japanese people visit Croatia in ever greater numbers; many of them again and again. Since I have arrived as Ambassador to Japan four years ago, these numbers have risen; from 30,000 in 2005 to 165,000 last year; and while everywhere else numbers of Japanese tourists are falling, in Croatia they are steeply rising – 14% last year; partly due to Embassy’s valiant efforts, joined lately by Croatian Tourist Board's. 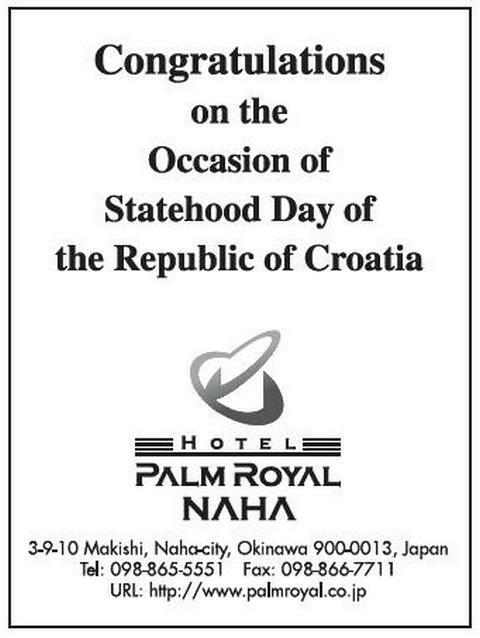 I am proud to state tonight at the occasion of Croatian Tourism Day that Croatia is becoming one of the most coveted destinantions in Japan, and happy to encourage everyone here and out, along Japanese isles, to travel to Croatia and enjoy its unique combination of nature and heritage, the God-given fresh, tasty food and great hospitality of Croat people. Because Croatia is more beautiful in nature than on projections you'll see or prospects you’ll get, here tonight, do visit Croatia. Rarely, you’ll find such harmony between people, heritage and nature. 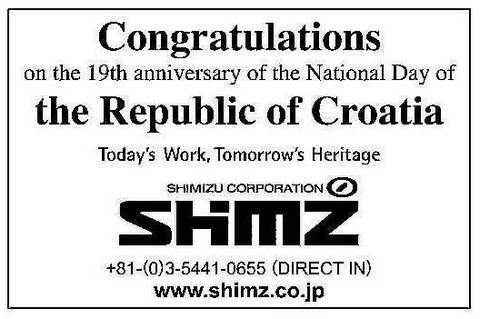 To sensitive Japan's tourists with inate shinto-sense for nature's richness and its significance, Croatia’s beauty is substitute for kami. Dear Japanese friends, do come where kami abides and grows, till we look after our land in loving and nurturing way. 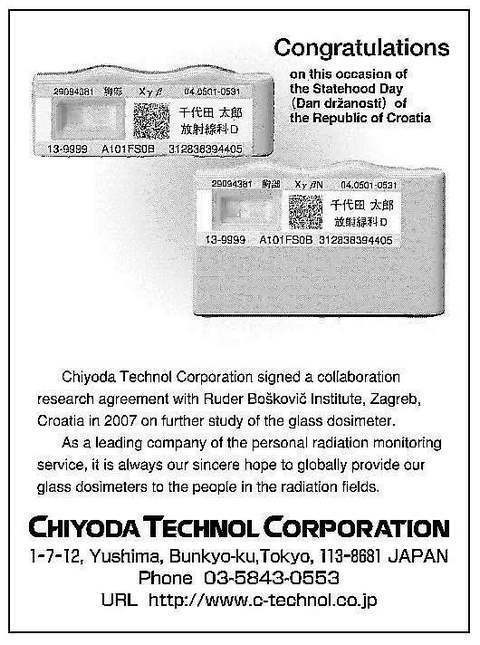 Long live friendship between our two beauty-bound countries, Japan and Croatia. 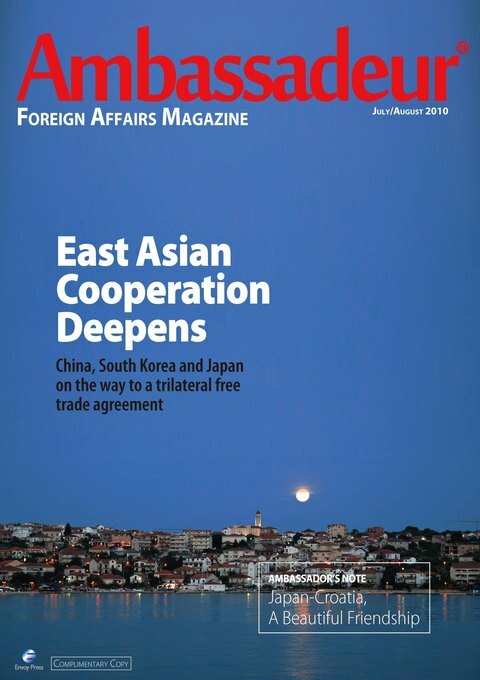 In the August 2008 issue of the renowned fashion magazine FIGARO JAPON extensive feature article about Croatia ranging 48 pages together with the supplement on 12 pages was published. Feature article titled “Holliday in Croatia - lovely European province” covers Zagreb, Split, Dubrovnik, Rovinj, Opatija, Istra peninsula, Adriatic coast, while the supplement covers Croatian islands of Brac, Pag and Losinj. How Croatia is presented to Japanese readers is best seen form the introductory paragraph: “Croatia is the land where green land and deep blue see extend. In the small capital city of Zagreb lives grandma who makes lacework, and the Istra peninsula is the treasury of truffles and olives. Dubrovnik and Split on the Adriatic coast are the paradises of this world where horizon line extends ahead of Middle-age’s town. In this country which never ceases to allure the Europeans, we are searching for supreme summer holidays full of smiles and emotions.” The impression of Croatia as a small country with cheerful and radiant people and relaxed lifestyle is present throughout the coverage. Besides the beauties of nature, traditional handicrafts such as lacework and embroidery are also described. 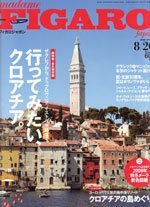 Moreover, customary to all Japanese travel magazine articles, large space is dedicated to Croatian gastronomy, and many of Croatian traditional dishes and desserts are introduced to Japanese readers. Also, many souvenir shops, mainly those offering handicraft souvenirs are presented, as well as hotels and villas in which the reporters recommend to stay in. Emphasis is placed on “slow life’, that is savouring the relaxed life, without hurry, in accordance with the nature and far from city bustle. The Republic of Croatia is known as the “jewel of the Adriatic.” The horseshoe-shaped country, which sits astride the Adriatic Sea, is renowned for its wine, its cuisine, its beautiful Dalmatian coastline, its internationally-known professional basketball players, and for its rich cultural and historical heritage. Joining this list of national Croatian treasures is Dr. Drago Štambuk, a medical specialist and poet extraordinaire. Štambuk has had his award-winning works published in more than thirty books. Reminiscent of Boris Pasternak’s famous literary persona, Doctor Zhivago, Štambuk is that rare combination of physician and poet. 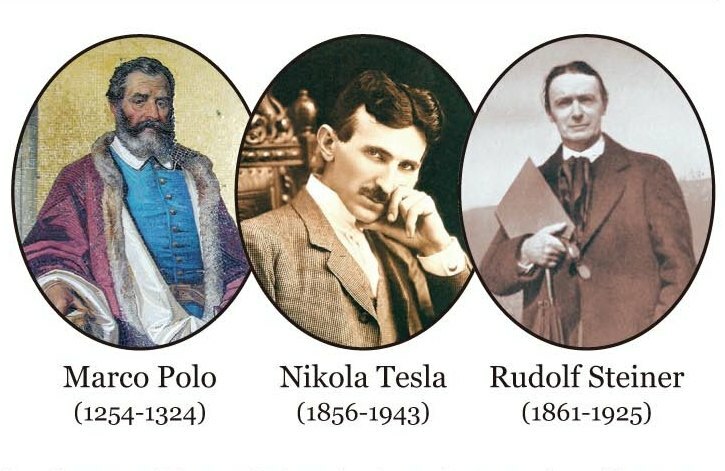 Added to that unique synthesis of scientist and artist is Štambuk’s occupation as a foreign ambassador for Croatia. Since 1995, he has served as Croatia’s ambassador to India, Sri Lanka, and to several countries in the Middle East. 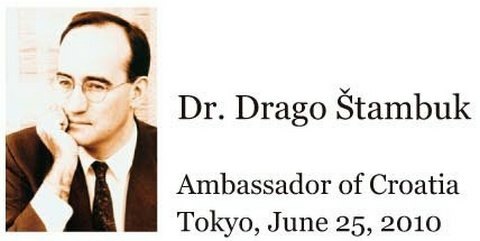 After a stint as a fellow at Harvard University in the United States, Štambuk was appointed as Croatia’s ambassador to Japan. He has remained in that post ever since. The world as a whole is probably not all that familiar with poets hailing from Croatia. Štambuk on the other hand, is an exception. He is one of the few modern Croatian poets who has a recognizable name outside of Croatia. Within Croatia itself, Štambuk has made his way to the apex of the country’s literary consciousness. Playing to what Elinor S. Shaffer calls his “powerful sense of Croatian mythic individuality” (from “Comparative Criticism: Volume 16, Revolutions and Censorship”), Štambuk’s poems, which are probably some of the best-kept secrets on the international poetry circuit, are underscored by a formal temperance and by a refined intimacy. His poems are also emotionally and romantically mesmerizing from their periphery to their very center as they tend toward a marriage between the poet’s studied ascription of a style, tone, and interpretation that is neither spontaneous nor reserved. It is the considered opinion of poetry experts throughout Europe that another subtle feature that underlies Štambuk’s poetry is his emotive and descriptive regard for the land of his birth, the Dalmatian region of Croatia. In contrast to the potent nationalism of other Slavic poets, Štambuk’s poetry arises out of an ethos of a more aesthetic and romantic spirit of national identity. I want to be all your labor. Trying to conclusively interpret Štambuk’s poetry is at once futile and invigorating, although someone will always take it upon themselves to form what they judge to be definitive expositions of his verses. But they do so at the risk of diminishing the elegant intensity and the breath of spiritual, psychological, and existential symbolism that is incorporated into the landscape of Štambuk’s poems. The poet, as with other progressive-minded verse makers, protects his poems from that development by welcoming different points of view of his works that are formulated from a personal and subjective vantage point, beyond authorial purview. Insightful and intelligent analyses have been made concerning Štambuk’s poetry, thus confirming his desire to articulate metaphysical perceptions, mold perspectives, and to contribute perspicacious observations of human thought, emotions, and nature. In disdaining absolute conclusions in his poetry, Štambuk sifts through such restrictive interpretive resoluteness and instead aims for something more sublime and heartfelt. This is an idea that is so unpretentious, yet so elemental, yet so human. pact of Argonauts ancient and new. to secure the gates of that cherished experience against the onslaught of modern existence. Just as uppermost in Štambuk’s mind is the poetic dialogue between his splendid Croatian themes and his gracefully humanistic approach. It is a dialogue that is only gathering more and more momentum given all that is happening in the world today. Professor Vladimir Devidé is distinguished Croatian mathematician and haiku poet. His verses are narrated first by dr. Drago Štambuk in Croatian and English, and then also in Japanese. Japan Croatia Friendship House completed in Tokamachi in 2012 - congratulations!